When I look at this fall’s burgeoning slate of Canadian craft beer festivals, it reminds me that I’ve always had a fondness for 1984, and fellow beer lovers in my native Victoria would agree. Why? Well, 1984 is more than just a classic George Orwell novel and a best-selling Van Halen album – it’s also the year Spinnakers became Canada’s first brewpub in Vancouver Island’s biggest city. As I can attest, sampling a flight of their beers paired with chocolate truffles in a homey atmosphere while gazing across the Inner Harbour is a life-changing experience. 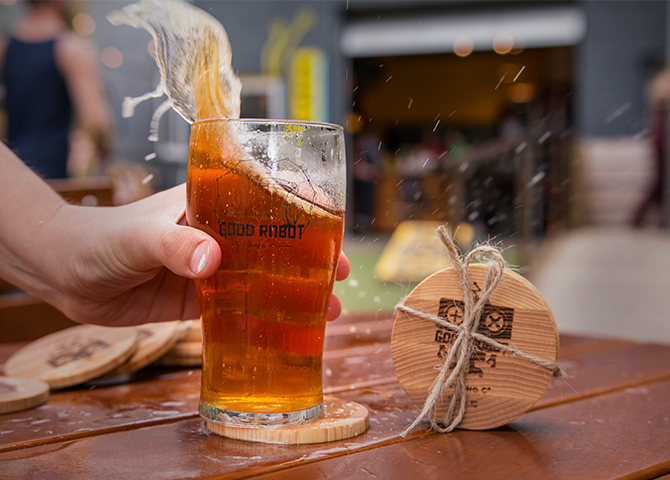 It’s no wonder that since 1984, Canada’s passion for cool brews has exploded, spawning close to 800 breweries from coast to coast. Here are my picks for this fall’s must-attend craft beer festivals. Joe Wiebe, the author of Craft Beer Revolution: The Insider’s Guide to B.C. Breweries, wrote in 2013: “Victoria is more than just the provincial capital – it’s BC’s Craft Beer Capital too.” While Vancouver has since surpassed Victoria in terms of the number of breweries, the Great Canadian Beer Festival remains as much of a local landmark as the recently renovated Fairmont Empress Hotel. 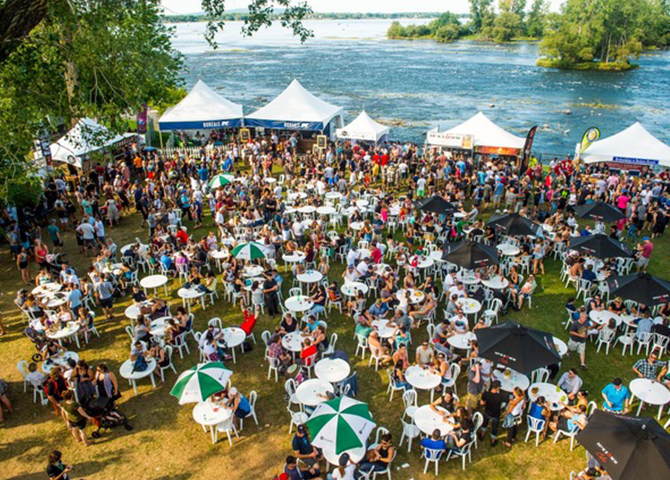 Staged outdoors at Royal Athletic Park, this is Canada’s oldest craft beer festival, founded in 1993. 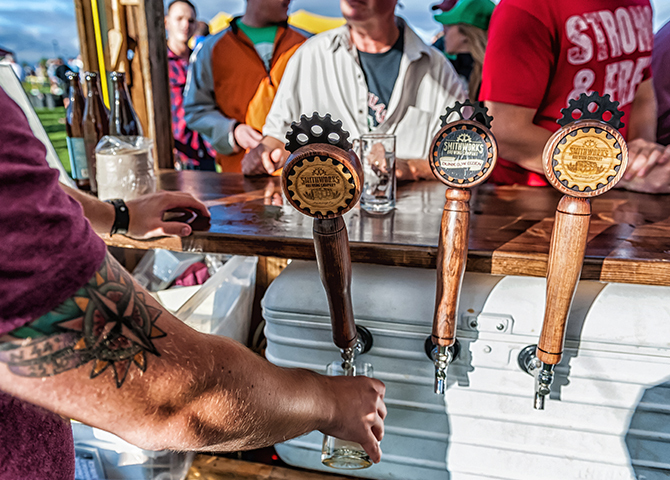 After the ceremonial bell rings to kick off the two-day extravaganza in September, wander amid the white tents in the sunshine and sip some 250 beers from more than 60 breweries. Don’t miss the Icarus Mosaic Saison by the video game-inspired savants at Fuggles & Warlock (Richmond), or my personal go-to, the Hoyne Dark Matter, an exceptional dark ale from brewmaster Sean Hoyne, who got his start at Swans Brewpub back in 1989. Meanwhile, food vendors dish up everything from Ali Baba’s award-winning pizza to Dead Beetz’s signature Beatrice Beef Burgers. At the 2010 Winter Olympics, Jon Montgomery won gold in men’s skeleton and marched through Whistler, singing “O Canada” and swigging from a pitcher of beer. 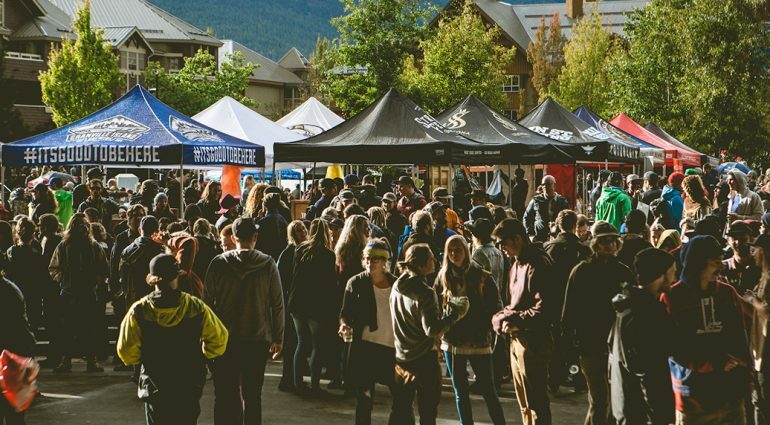 You can too have a winning experience at the Whistler Village Beer Festival, which is celebrating its fifth anniversary in 2017. 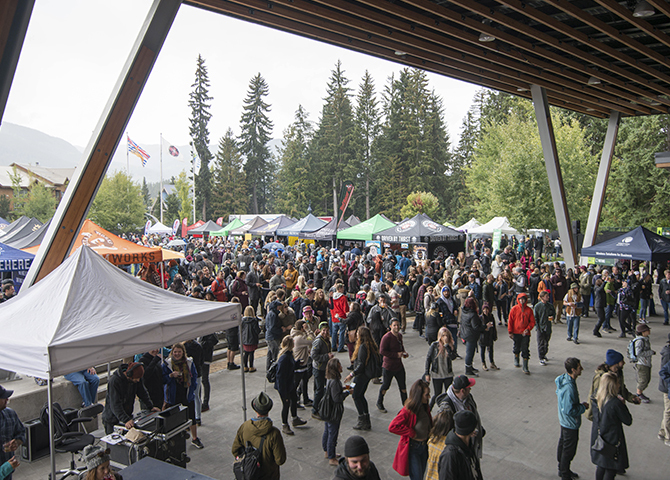 With the gorgeous backdrop of the Coast Mountains, the five-day September festival peaks with a weekend party in Whistler’s Olympic Plaza. Sample more than 100 beers and ciders from regional titans like Parallel 49 and Central City and newcomers like Faculty Brewing and Andina Brewing. Between brews, carnivores can fuel up with Smoke Shack 99’s famous pulled pork sandwiches or Grimm’s original Bavarian smokies. 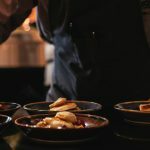 Blind tastings, cask nights, and craft beer-infused meals also enliven the festival. 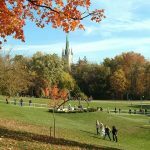 If you prefer to drink beer with a social conscience, Head for the Hills, the 2015-founded craft beer festival of Georgetown, Ontario, is where you need to be. All proceeds go to charity. This volunteer-run, one-day event in mid-September has raised about $20,000 to date for Food4Kids, which supplies healthy lunches for elementary schools. And Ontario Beverage Network readers recently voted it the province’s best beer festival. What’s not to like? At the Trafalgar Sports Park, superb local beers await, such as Barnstormer Brewing’s Accelerated Stall Imperial IPA and StoneHammer Brewing’s Oatmeal Coffee Stout. You can also play giant beer pong with a soccer ball or sing along with pop and country cover bands. Until the Montreal Canadiens win their next Stanley Cup, Bières et Saveurs de Chambly might be the best reason to raise a celebratory glass in Quebec. 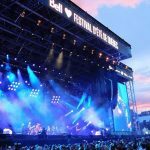 This is La Belle Province’s biggest annual craft beer festival, attracting some 60,000 visitors who lap up the offerings from more than 110 exhibitors over four days in early September. From La Barberie’s Sûre aux Abricots, a tasty sour apricot ale, to Les Soeurs Grises’s Gros Machin, a heavy-hitting Baltic porter, inventive options abound. The setting is simply spectacular. Fort Chambly National Historic Site, about 30 kilometres from Montreal, features 18th-century stone fortifications towering at the foot of the Richelieu River rapids. 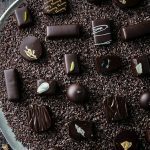 Factor in live music and circus performances, food demos, and La Grande Brasse, Quebec’s top beer competition, and you’ve got one “Oh là là!” of an event. Also representing are area stalwarts like Propellor Brewing and Garrison Brewing, and cask cider will be served as well. The reasonable entrance fee includes a take-home glass and 12 drink tickets, ensuring an intoxicating evening of Maritime creativity and hospitality. 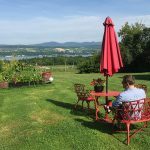 Oktoberfest des Acadiens (August): Head to Bertrand, New Brunswick to sample some 100 craft beers, with kayaking, rock bands, and jovial bootlegging tales as diversions. Brewloops (September): This five-day Kamloops, BC festival offers mountain biking, block parties, and a beer brunch at the acclaimed Noble Pig brewhouse. 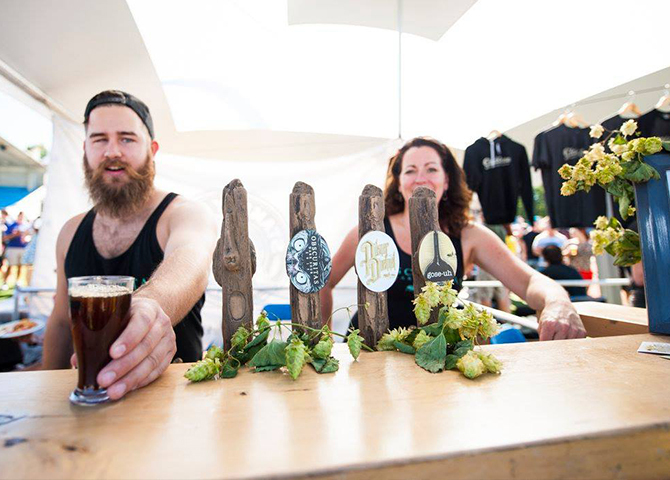 EBGA Real Ale Festival (September): Alberta’s only dedicated cask ale festival is held at an outdoor Edmonton hockey rink. 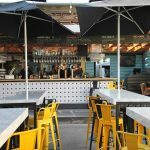 Torontoberfest (October): Enjoy free admission to this Thanksgiving showcase of local brewers at the Evergreen Brick Works. Coquitlam Craft Beer Festival (November): Just outside Vancouver, Westwood Plateau Golf Club hosts more than 30 craft breweries from BC, Ontario, and the Yukon.